Anne R. Bavier, PhD, RN, FAAN, assumed the presidency, the anticipated conclusion to her board service these past two years as president-elect. The NLN announced that G. Rumay Alexander, EdD, RN, FAAN, is the NLN’s president-elect and three new governors-at-large were elected to the NLN Board of Governors. As the National League for Nursing’s 2015 Education Summit drew to a close on October 2, the NLN announced the results of its annual elections. Anne R. Bavier, PhD, RN, FAAN, assumed the presidency, the anticipated conclusion to her board service these past two years as president-elect. Dr. Bavier will serve as the League’s president until 2017. At its annual business meeting, the National League for Nursing also announced that G. Rumay Alexander, EdD, RN, FAAN is the NLN’s new president-elect for a two-year term, effectively immediately. Three new governors-at-large were also elected to the NLN Board of Governors. In her inaugural address, Dr. Bavier emphasized her commitment to ensuring that nurse educators have access to the best resources, the most current research, the newest techniques, and the encouragement needed to create the best teaching-learning environments. She called for nursing educators to expand their mutual horizons through international dialogue and to embrace the power to serve students online as well as through face-to-face exchanges. 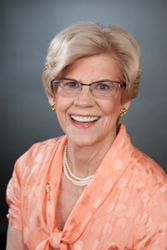 Anne R. Bavier, PhD, RN, FAAN, who has served the NLN as a governor at-large and as BOG secretary, takes the helm as NLN president, transitioning from president-elect, a position she’s held since her election in 2013. Dr. Bavier is a nationally recognized health care leader who has held the top posts at top-ranked universities and at the National Institutes of Health. Prior to being appointed dean of the UT Arlington College of Nursing and Health Innovation in April 2014, she was dean of the University of Connecticut School of Nursing (2007-2011) and dean of nursing at Saint Xavier University (2004-2007) in Chicago. Under her leadership, U-Conn and Saint Xavier were named National League for Nursing Centers of Excellence in Nursing Education. In addition to her experience in higher education, she worked as a program director in the National Institutes of Health’s National Cancer Institute and as deputy director of the agency’s Office of Research on Women’s Health. She has written or co-authored numerous publications on nursing education, professional development, and oncology nursing. Dr. Bavier is a fellow of the American Academy of Nursing and the Institute of Medicine of Chicago and was the first recipient of the Edith Moore Copeland Award for Excellence in Creativity from Sigma Theta Tau International Honor Society of Nursing. She also received the NIH Director’s Award from the National Institutes of Health and the Administrator’s Award while at the Agency for Health Care Policy and Research. The three new governors-at-large are: Ann Marie P. Mauro, PhD, RN, CNL, CNE, assistant dean, professor, and director of the Center for Educational Research and Innovation (CERI) at Rutgers—The State University of New Jersey; Linda Moneyham, PhD, RN, FAAN, professor and senior associate dean for academic affairs at the University of Alabama at Birmingham; and Kathleen R. Stevens, RN, BS, MS, EdD, ANEF, FAAN, professor and director of the Improvement Science Research Network at University of Texas Health Science Center-San Antonio. Connie S. Wilson, EdD, RN, CNE; professor of nursing, RN-BSN coordinator at the University of Indianapolis, was re-elected to another term. Biosketches are available on the NLN website.